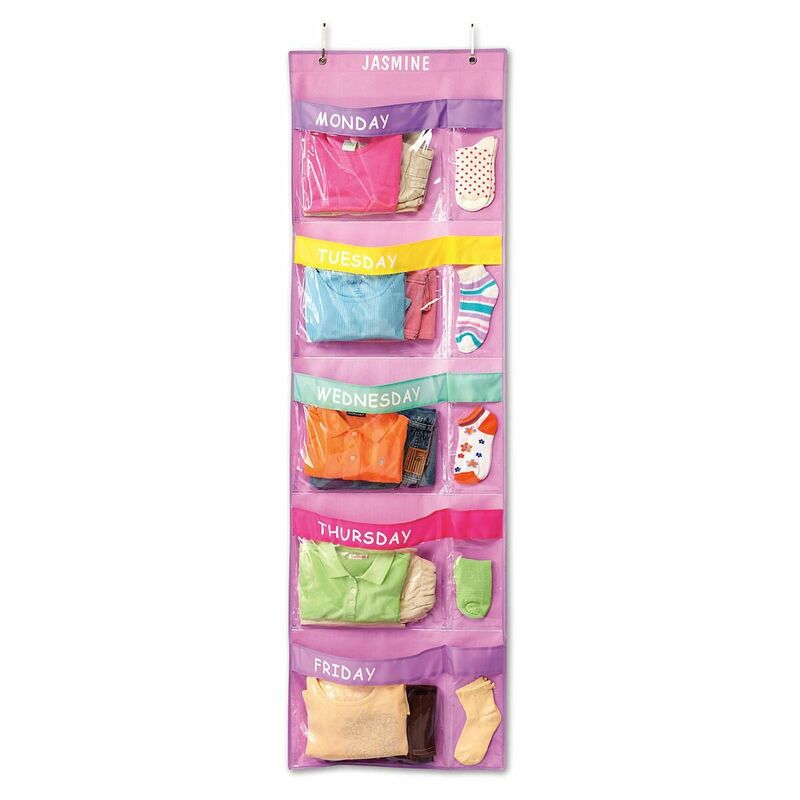 Designed to fit over the door, this organizer will help take the hassles out of the morning rush! 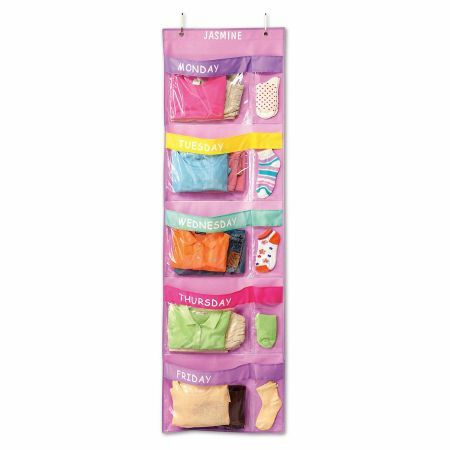 Five large and five small, double-stitched, PVC accordion-style pockets! 19 1/2" x 62", 600-denier poly. Wipe clean with a damp cloth. The large pockets are 13 1/4" x 10" H, small pockets are 4 1/2" x 10" H. Both are "accordian-style" pockets that expand to 1 1/2" deep.